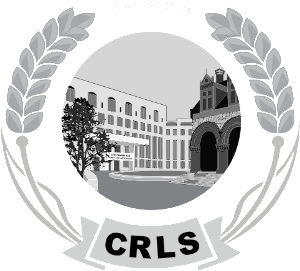 A series of events for alumni and staff of CHLS, CRLS and Rindge Tech from Sat, Nov 21, 2015 through Sun, Nov 29, 2015 including the Annual CRLS ALUMNI Luncheon & Association Meeting "Back to the Future" on Fri, Nov 27, 2015. Sat, Nov 21 – "Homecoming Kick-off" – Meet and greet the new Visual and Performing Arts Director, Mr. George Simpson prior to the Fall Musical – 6:00pm @ the Fitzgerald Theater, Broadway, Cambridge. Sat, Nov 21: CRLS Musical "Footloose! The Musical" – 7:00pm @ the Fitzgerald Theater, Broadway. Mon, Nov 23: Annual Rindge Tech Dinner – 6:00pm @ Hellenic Cultural Center, 25 Bigelow Avenue, Watertown. Tues, Nov 24: "First Annual Alumni Panel Discussion" for CRLS Juniors and Seniors at CRLS. Wed, Nov 24: Annual Football Team Reunion – 6:00pm @ Russell Field, 335 Rindge Ave., Cambridge. Wed, Nov 25: Welcome Back to the Future – at the renovated CRLS with tours, discussions and meeting with Principal Damon Smith – 10:30am @ the CRLS Campus, 459 Broadway, Cambridge. Wed, Nov 25: Annual Alumni Reunion Night – 8:00pm @ Grendel’s Den, 89 Winthrop St, Harvard Square, Cambridge. Thurs, Nov 26: CRLS vs Somerville Football Game Pre-Game Tailgate – 8:30 to 10:00am @ Russell Field, 335 Rindge Ave., Cambridge. Thurs, Nov 26: CRLS vs Somerville Football Game – 10:00am kickoff @ Russell Field, 335 Rindge Ave., Cambridge. Fri, Nov 27: Boys Alumni Soccer Game – 9:30am to 11:00am at Danehy Field, Cambridge. Fri, Nov 27: “Back to the Future” Annual CRLS Alumni Luncheon and Association Meeting – 11:00am @ CRLS Media Cafe, 459 Broadway, Cambridge. Fri, Nov 27 – Classes 1971-1979 Reunion @ 7:00pm to midnight, Sons of Italy, Woburn. Contact Lenny Vigilante 781-301-1973 or lennyv838@aol.com. Sat, Nov 28 – Class of 1970 Reunion, VFW, 600 Huron Ave., Cambridge @ 7:00pm to midnight. Tickets $20.00. Contact John Campbell, 617-291-3222 or soup287@comcast.net. Sat, Nov 28 – Class of 1980 Reunion, Crowne Plaza Woburn, 15 Middlesex Canal Park, Woburn. Cocktails @ 6:00pm, Dinner @ 7:30pm, $55 in advance, $70 at the door. Visit: http://www.crlsalumni.org/ for more information or e-mail crls80reunion@comcast.net. Visit: http://crlsalumni.org for more Homecoming 2015 information. Visit: CRLSHomecoming2015 to RSVP and/or purchase tickets. Visit: Reunions for information on Class Year Reunions.